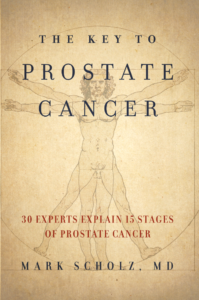 DISCLAIMER The content of this website and book is intended as a compilation of current methods and means of treating prostate cancer. This website and book are not to be used as medical advice for any particular patient. Rather, it is intended to provide information to patients enabling them to discuss their disease and treatment options with their physicians. The authors have made every effort to provide accurate telephone numbers and Internet addresses at the time of publication, but neither the publisher nor the authors assume any responsibility for errors, or for changes that occur after publication of this website or book. Moreover, the publisher does not have any control over and does not assume any responsibility for author or third-party websites or their content.